We all know what a POA it is to change the oil filter and the mess it makes all over the chassis. 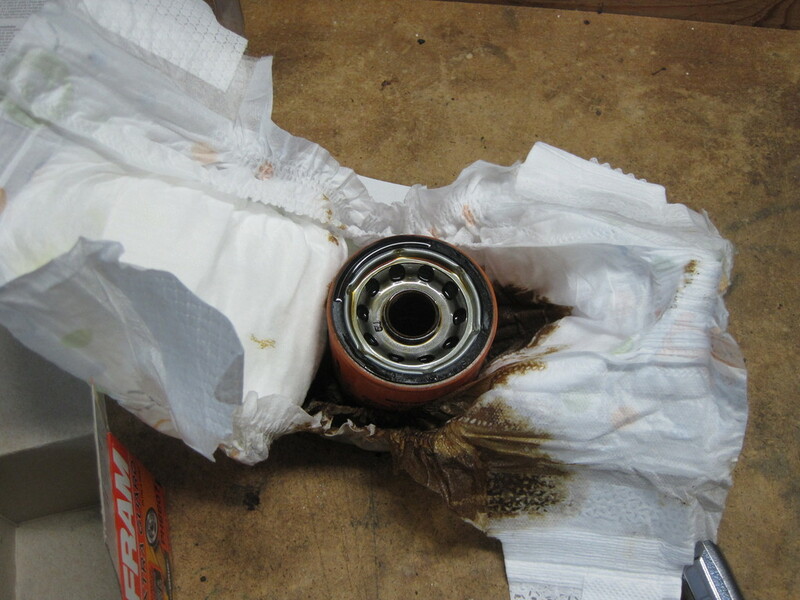 I tried using a kid's diaper to catch the oil and it worked out great. 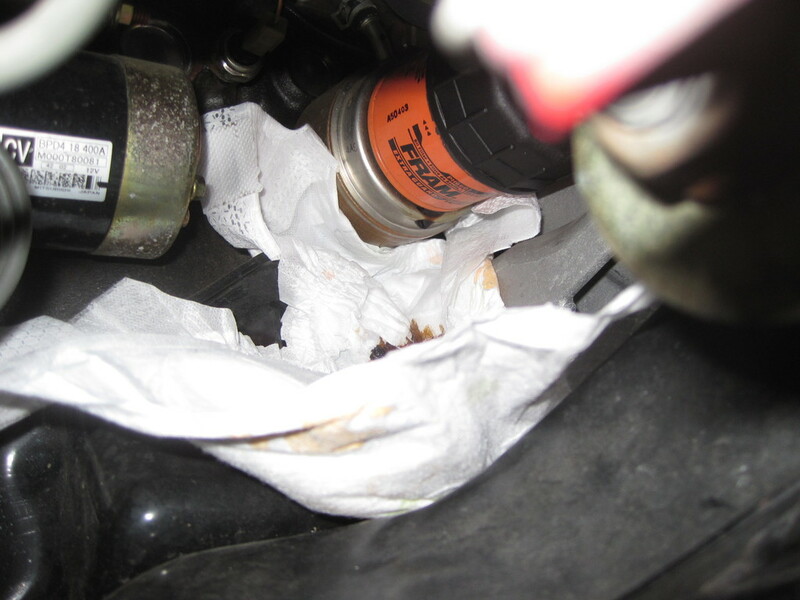 Diaper installed under the oil filter. Old filter ready to wrap. Old filter ready for disposal. I've done the same and it does work pretty well. You just have to make sure the diaper is placed properly. That is sometimes easier said then done when working from the top. I will say it works much better than newspaper. Good tip! Do you guys typically take the wheel off to change the filter, or use go-go-gadget arms to reach from the top? I've only done this once so far from the top. It was a little messy and a pain, but worked fine. I normally use my go-go gadget arm, but there is definitely better access with the tire removed. 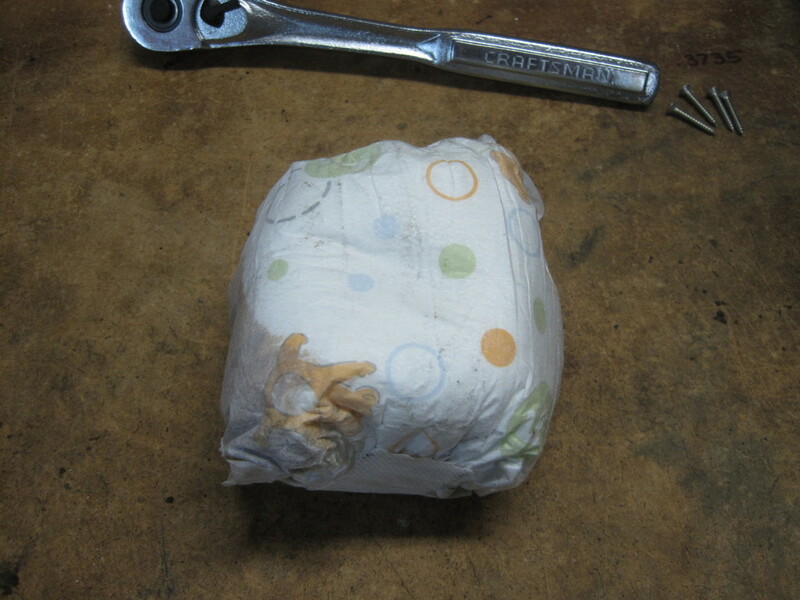 I've used baby diapers for years to do the oil changes but recently after adding a new puppy to the family I discovered puppy pads should do a much better job. Easier to get down in their and get more coverage.